Sanders, Patrick Leahy (Demokrat, Vermont), Dianne Feinstein (Demokratin, Kalifornien), Ben Cardin (Demokrat, Maryland) und Ed Markey (Demokrat, Massachusetts) unterschrieben den Brief, in dem der Widerruf aller Genehmigungen und Nutzungsrechte gefordert wird, solange bis korrekte Untersuchungen durchgeführt werden können. „Wenn es eine grundlegende Lektion gibt, die die indigenen Völker uns gelehrt haben, dann ist es die, dass wir alle als Menschen Teil der Natur sind. Wir werden nicht überleben, wenn wir weiterhin die Natur zerstören“. Diese Forderung bekräftigt jene Forderungen, die in den vergangenen Wochen zu hören und zu lesen waren, obwohl vorangegangene Bemühungen durch örtliche Gerichte gekippt oder durch die Baufirmen allesamt ignoriert wurden. Die Proteste am Ort der geplanten Pipeline wurden monatelang fortgeführt. Bei ihnen fanden sich indigene Amerikaner und verbündete Aktivisten zusammen, um zu versuchen zu verhindern, was sie als Angriff sowohl auf die Umwelt als auch auf ihre Geschichte und ihre Kultur ansehen. 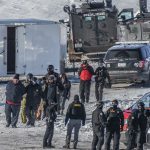 Alle Informationen zu Standing Rock hier: #StandingRockSioux – Das geschieht, wenn Ölkönzerne mit US Regierung, Gerichten,Politikern, Polizei und Medien sich verbünden! 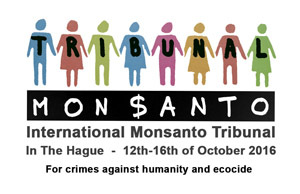 Facebook zensiert, Tränengas aus der Luft, Militär…That`s happened when Big Oil goes to bed with the U.S. government, courts, governor, county sheriff and media! Bemerkung Redaktion: Am Dienstag, den 15.November 2016 findet ein weltweiter Aktions-Tag, für die Solidarität mit den Standing Rock statt. 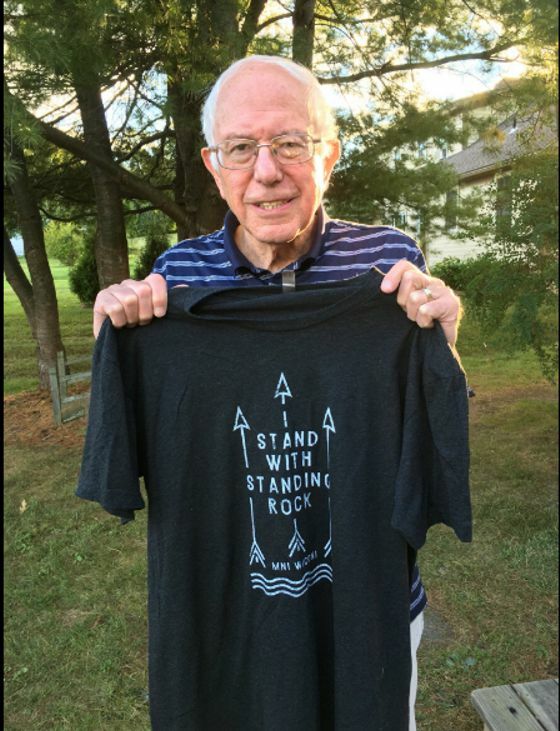 Senator Bernie Sander has joined with four other Senators in order to call on President Obama to bring a halt to the construction of the Dakota Access Pipeline so that a full environmental and cultural review can be completed. Sanders, Patrick Leahy (D-Vt.), Dianne Feinstein (D-Calif.), Ben Cardin (D-Md.) and Ed Markey (D-Mass.) all signed the letter which called for the revoking of all permits and easements until the proper investigations can be made. This request echoes those made in recent weeks, though previous efforts have been overturned by local courts or ignored by the construction company altogether. The protests at the site of the proposed pipeline have continued for months as Native Americans and activist allies join together to try and stop what they view as an attack both on the environment, and on their history and culture. This day of action is one of many calls for solidarity actions targeting not only the Army Corps, but stakeholders at every level — including the banks who are funding Dakota Access and the companies building the project. 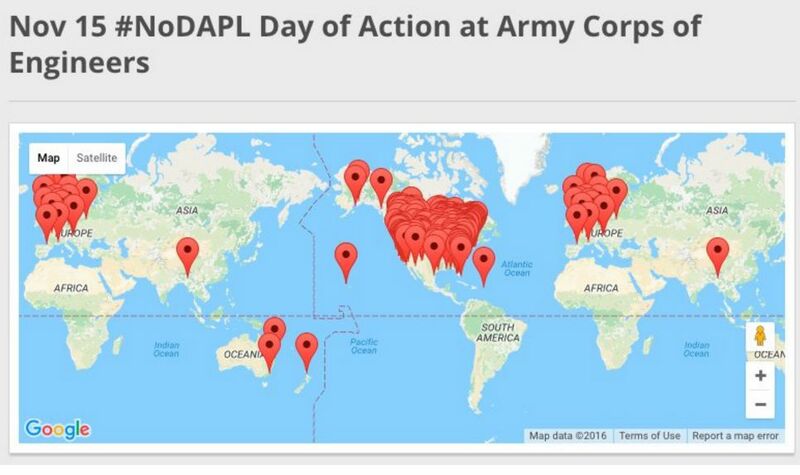 If there’s not any Army Corp office or action near you, join or host an action at a bank that’s financing the pipeline, or any Federal building. If you’re planning an action outside the US, you could organize it outside a bank financing the project or US embassy. We know that elections and individuals alone don’t create change — movements do. That’s why we’ll continue to fight until native sovereignty is honored, indigenous rights are protected, and our communities, water, and climate matter more than fossil fuel profits.